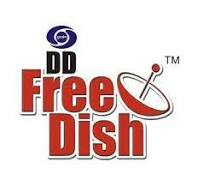 DD Free dish 39th e-auction Result Declared for MPEG-4 slots, 15 vacant slots get private TV channels. These channels can be access only i-cas supported set-top boxes, which has recently launched by various manufacturers in India. If you want to replace your box then you can visit nearest electronic store, you can find online from Flipkart.com, Snapdeal.com, Mahamargin.com, CatvIndia.com etc websites or find in Google.